Being restricted to using one resort is no longer an issue with Sandals Luxury Included® vision in their new Island hopping program. Sandals hospitality now extends far beyond the singular resort you’re staying in, allowing you to visit and use any of Sandals chain situated in multiple destinations. 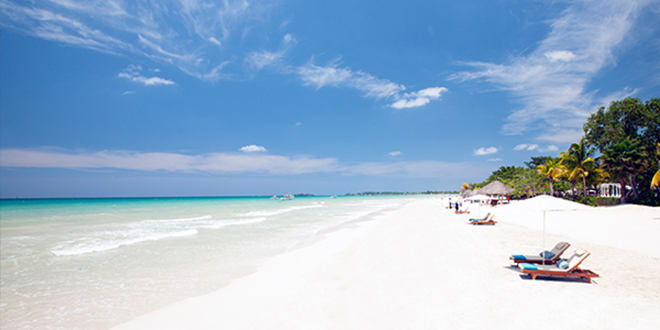 Beaches Resorts specialise themselves for couples, families, friends and even weddings, Beaches resorts offer something for everyone on the stunning islands of Jamaica and Turks & Caicos. No matter how old you are, Beaches is bound to give you the adventure of a lifetime but still keeping in line with Sandals’ vision of luxury and exclusivity. We are delighted to work with Beaches as they provide us with more quality inclusions than any other resorts in the world, allowing us to create you a holiday of exploration and activity, fused with complete relaxation and rejuvenation. A great all-inclusive luxury holiday awaits you at Beaches Ocho Rios, this Jamaican five-star resort offers world class facilities for all ages. Ocho Rios boasts a sweeping white-sand bay lapped by crystal clear waters which play host to an array of vibrant marine life. With its own waterpark, golf course and private beach, this luxurious resort offers something for everyone. Set among twenty-two acres of lush tropical gardens and a gorgeous private white-sand beach, Beaches Ochos Rios boasts spacious accommodation and impeccable service. Set on a pristine white sand beach on the exotic island of Great Exuma, Sandals Emerald Bay Bahamas is the epitome of sophisticated luxury. With oceanfront rooms and suites all equipped with Concierge or Personal Butler Service, you will be treated like royalty at this jewel in the Caribbean.